DIN Dry 8 DU In accordance with DIN 55 473 and MIL-D-3464E for industrial use. DIN Dry – Envelope material A – low-dust. Made from dry clay. Size 180 x 120 x 20mm. Available in quantities of 10 or 60 pieces. 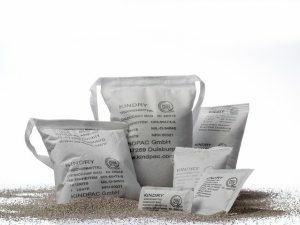 DIN Dry Type A Low-Dust, 530gr. 16 DME (Desiccant Unity). Size 180 x 100 x 20mm. DIN Dry A Low Dust 8DU available in quantities of 10 or 60 pieces. 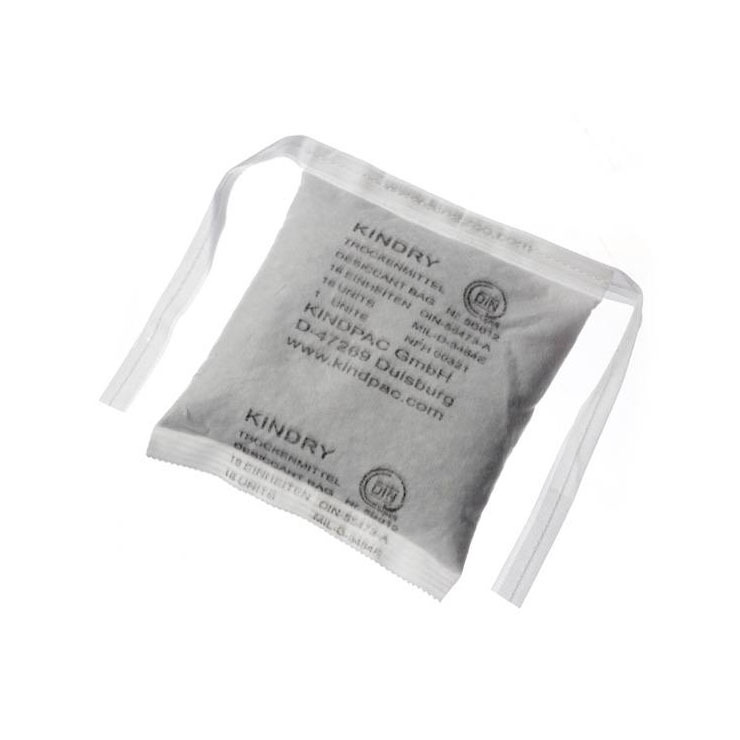 DIN Dry Type A (low-dust) desiccant bags absorb moisture from the surrounding air and keep it fixed. 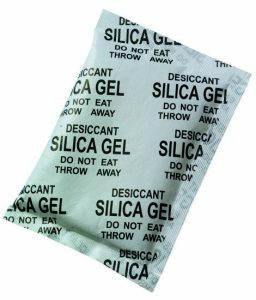 In a sealed foil bag (also referred to as barrier), or hermetically sealed spaces (e.g., control cabinets), they can decrease the relative humidity. This prevents corrosion, mold and condensation.